Many Canopy Lawn Care customers choose to have flowers installed during both the spring and fall seasons. This ensures that their beds always look fresh and full of life! Seasonal flower installation can be a great enhancement to any landscape. Now is the time to start thinking about adding fall flowers to your beds so your property will maintain color throughout the season. Below, we have listed the seasonal progression of a spring flower installation for one Canopy customer. You can see what a difference the flowers make! 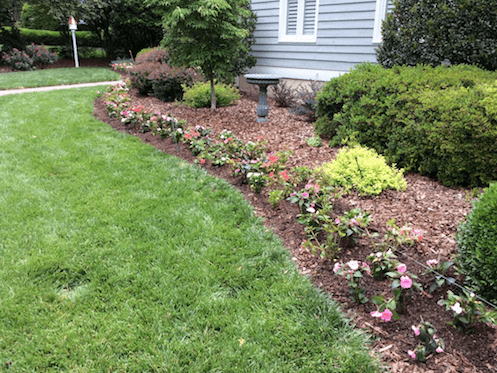 In this case, we installed Sunpatiens, a flower variety is that is planted during the spring and will grow well into the summer season. During the fall season, Canopy installs a variety of pansies and ornamental cabbages that add both a variety of color, as well as texture to compliment the seasonal oranges and browns of fall. 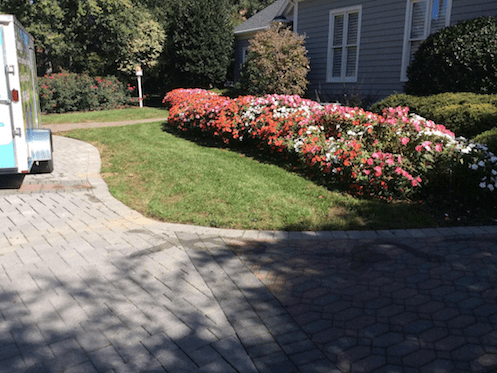 As you can see, flower installation can have a big impact on your landscape. Canopy Lawn Care installs seasonal annual flowers. Homeowners can also choose to plant their own perennial flowers, which are floral varieties that will come back year after year. Fall is the season when you should consider adding your spring bulbs like tulips and daffodils. These bulb varieties, however, do not bloom until spring, so you will have to wait until then to enjoy their color! When planting perennial flowers, be sure to consider the placement of your flowers and also plant different perennial varieties so that you will always have a little pop of color. 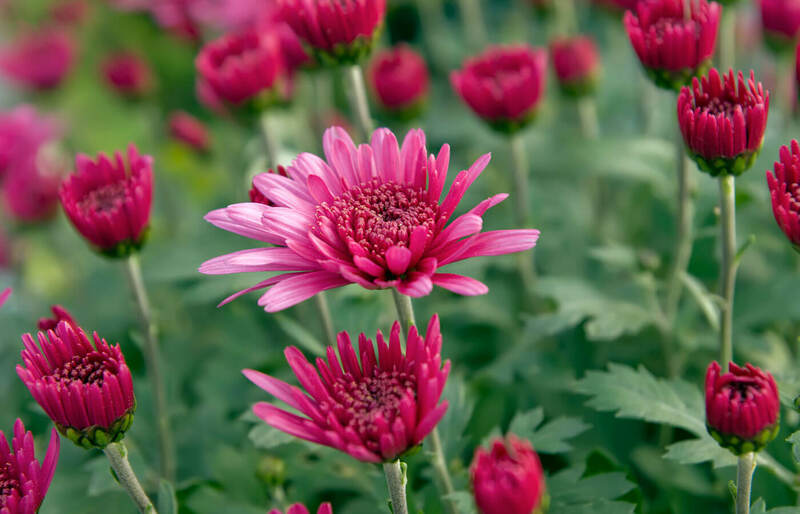 For example, you may want to consider planting mums, which will bloom through the summer and fall, so your beds maintain color while you are waiting for your spring bulbs to come up. Looking for help with flower installation? 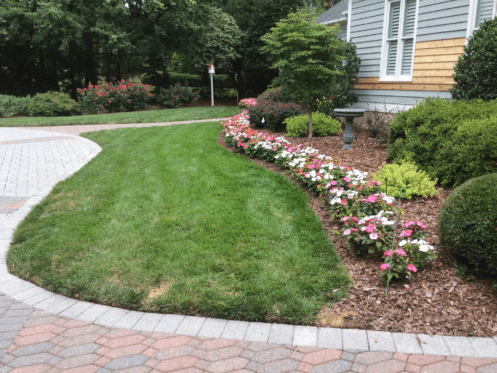 Annual flowers are a great option for those looking to keep their landscape looking fresh no matter what the season. Canopy Lawn Care would love to help you add some curb appeal this fall. 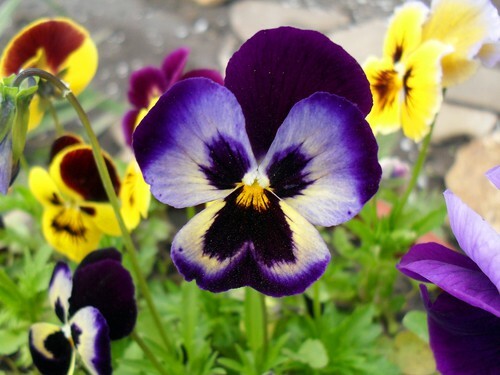 We are currently offering three different install options for eye-catching pansy mixes.